Hey derby fans! We have our one and only bout for the fall coming up and it is in LYNHCBURG! Thanks for Funquest to allowing us to bout while AJ’s is closed. 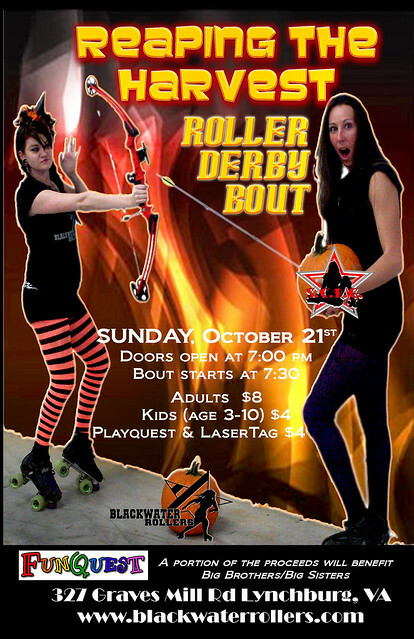 Be sure to come check us out on Sunday October 21st at 7:30pm. Tickets are $8 for adults and $4 for kids. A portion of the proceeds will benefit Big Brothers/Big Sisters. See you there!